This topic contains 0 replies, has 1 voice, and was last updated by Rebel 3 years, 8 months ago. Unfortunately it has been stolen by a member. Please report it. 1. You must be logged in first. 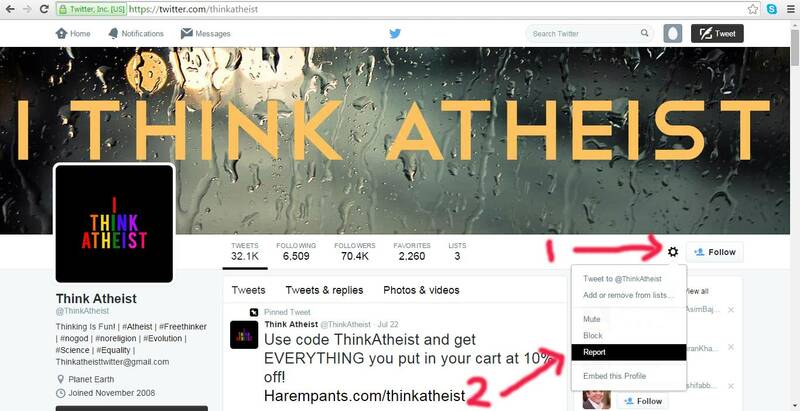 Go to https://twitter.com/thinkatheist and Click the cog on the right hand side bellow the banner. 2. A drop down menu will appear, so select *Report*. 3. A dialogue box will appear. 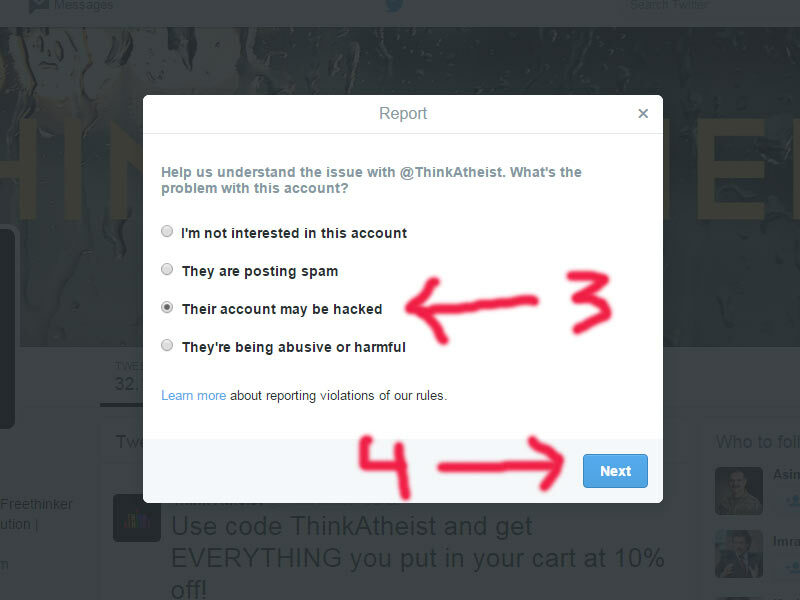 Select “Their account may be hacked” and click Next. 4. Another box will appear. click done. 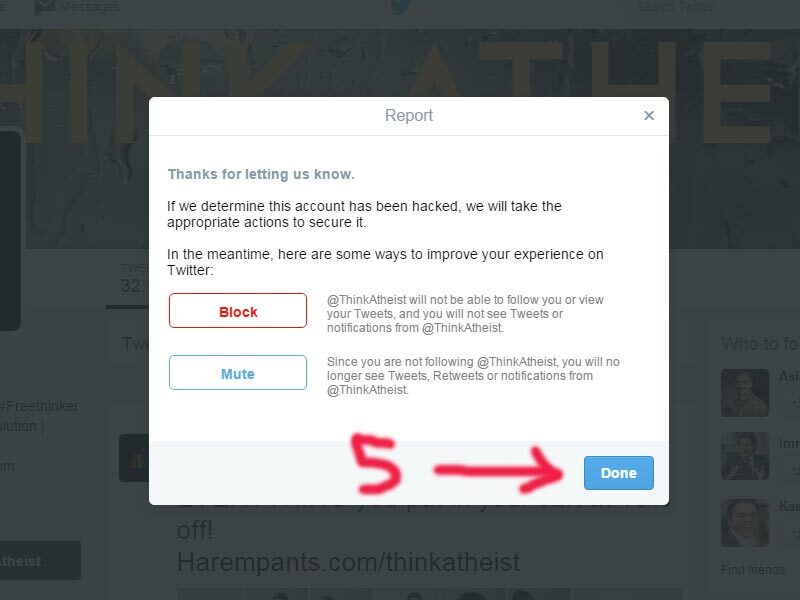 The topic ‘Please report stolen Think Atheist twitter account’ is closed to new replies.